This time of year is particularly bittersweet for me as we surpass family get-togethers, special events, and holidays I never thought we'd see before having Clementine home with us. Last Thanksgiving, I said to myself, "Surely she will be home for this next year." Surely she would get to wear the clothes I unwrapped for her from her MeMaw and PaPaw two years ago at Christmas. Surely we'd be celebrating her first Christmas with us in 2014. When that didn't happen, SURELY I thought it would be in 2015. Surely she'd get to hang her own stocking this year. Yet, here we are. I haven't imploded, but there have been times when my emotions have exploded. I haven't died, but there have been times I've been enslaved by my my anxiety and stress in the wait. I haven't lost it, but I have lost my temper due to a combo of more bad news and tiny missteps of my kids who are at home. Yet, here I am, and there she is, WAY OVER THERE on the other side of the world. And I'm still standing, often lacking in grace and abundant in hopelessness. But He remains. I don't understand any of this...why He called us to adopt and then not said a simple word that would let Clementine join our family; why He would allow children to die while waiting; why we are waiting so long when I think I know what's best. But He remains. He is constant. He adores us as we wait, and He adores her, too. He is teaching us. He is pouring out His grace over us. He is not surprised by anything here, nor is this situation out of his grasp. He is refining us. 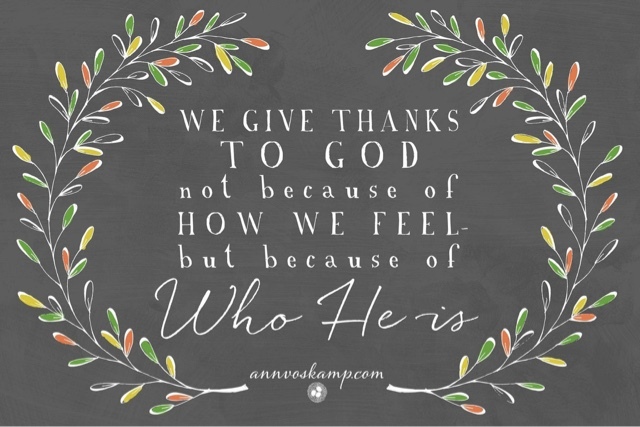 He is allowing us to be thankful, despite the trial. He is faithful. He is good. Family--Bradlee, Brody, Brecken, Clementine, and Oaklee. Parents. Grandparents (all still living). Aunts, uncles, cousins, nieces and nephews. All are special to me for so many reasons. Friends, who are also amazing prayer warriors. Clean water--Because we will never forget those two precious children we lost due to contaminated water. My new community of Congo mamas--We understand and encourage one another in ways others simply cannot. This wait--It has not always been pretty, nor has it been fun, but it has taught me SO MUCH. It has strengthened my faith in our great God, helped me decipher between "important" and "trivial" and "need" and "want." I truly am thankful for it; I'm just ready for it to end. God's Word--His continual reminder of his goodness and grace.